The argument to end all arguments; which is the greater achievement, Ride The Lightning or Master of Puppets? Both are outstanding, groundbreaking albums and both follow the same 8 track format in dynamics and construct but Ride The Lightning just edges it (for us, anyway). 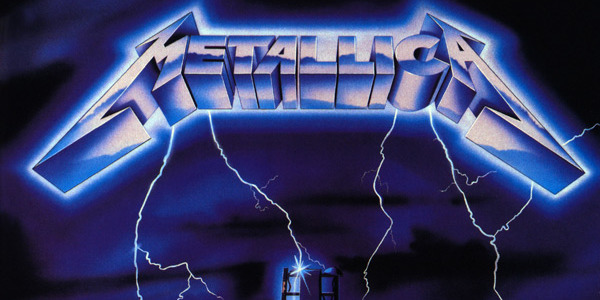 Released almost a year to the day after their genre defining debut, Kill ‘Em All, hit the shelves, Metallica’s monumental progression was palpable and Ride The Lightning should be revered as Metallica’s greatest achievement. From the misleading medieval acoustic intro to “Fight Fire With Fire” – which culminates in one of Metallica’s most neck-wrecking songs – to “Creeping Death”, a song that deserves its place in the metal hall of fame, Ride The Lightning remains virtually untouchable. This album slayed the competition during the genre’s formative years and laid down an insurmountable challenge to their peers; this is thrash, Hatfield, Ulrich, Hammett and Burton roared in your face…..can you beat it? Unsurprisingly, not many could! As electrifying today as it was nearly 35 years ago.